Christian retreat designed for foster and adoptive moms, kinship providers, grandparents, and others who care for orphaned and vulnerable children. We understand firsthand that this journey can be difficult and lonely. Deeply Loved is a time for you to leave behind the distractions and chaos of life and be physically, emotionally, spiritually recharged and inspired. Deeply Loved is all about supporting parents like you on your post placement journey. During the retreat there are 4 main sessions, plus a variety of breakout sessions , on topics designed specifically to equip you on this journey. This is a “KID FREE” event. That means as much as we love kids (and we really love kids) we are trying to create an environment where moms are able to relax and unwind. So please no children of any age and no exceptions. Our participants thank you!! Foster and adoptive moms, we need each other. You are not alone. You are DEEPLY LOVED by Jesus. Deeply Loved isn’t just a fun time. It’s also a time to learn more about yourself and your children. This year’s line up of main speakers and breakout speakers is the best yet. Want a sneak preview? Stephanie Fast is an internationally known public speaker who has impacted hundreds of thousands of lives with her compelling life story that began as an abandoned Korean War orphan. For the past few years she has focused her efforts on advocating for orphans around the globe. She lives in Oregon with her husband, Darryl, and to her great joy near her children and grandchildren. Fast is the name she was given in America. She does not know her original name, birth date, or place of birth, other than that she is Korean. Because she is biracial, Stephanie Fast was abandoned, left in a strange place to fend for herself, likely to die of starvation, disease—or worse. Stephanie has made it her life’s work to try to help rescue every orphan out there—terrified, hungry, hurting, abused. If you believe that how we treat the most vulnerable among us determines our own humanity you will want to read Stephanie’s book, She Is Mine, and you will want to get to know Stephanie’s story. You can find out more about Stephanie at her website www.stephaniefast.org. Back by popular demand, PLUK! Come learn about resources offering education & training or guidance navigating the education system. Learn the importance of the importance of advocacy and how to be an effective advocate. Tara Bradford is an adult adoptee, an adoptive parent, and the director of Encompass Orphan Care in Bozeman, Montana. She has been married to her best friend, Tyler, for 20 years and is mom to five amazing children through birth and adoption. She is coming to share her wisdom as an adoptive mother and an adoptee. Adoption is a triangle, with the birth parents, the adoptee, and the adoptive families set at each of the points. Each one has a voice, a story, & should be seen & heard in the conversation. Sometimes the voice of the adoptive parent is given more weight. If we want to really learn the experience of adoption, we need to talk to the people who have lived this story…the adoptee. Such a much needed refreshing time! This momma needed this time! So thankful for this retreat and all the new and old friends I get to see and meet. 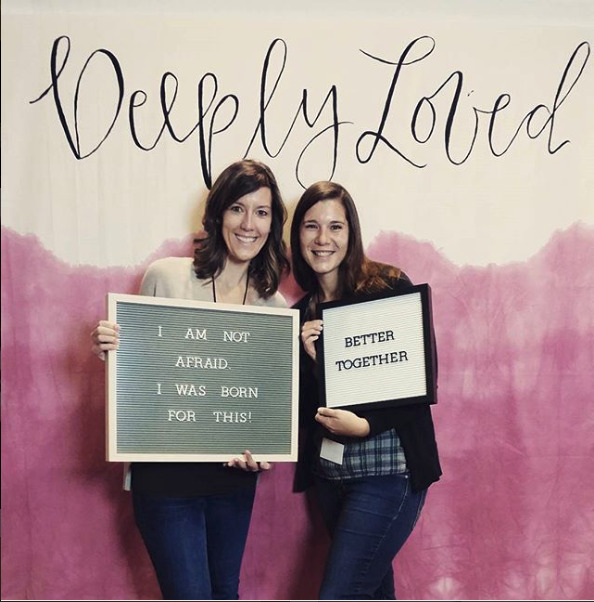 Deeply Loved is a retreat for foster and adoptive moms. These women are caring for Montana’s most vulnerable children and due to the trauma that these children have experienced, parenting can be challenging and exhausting. This retreat is designed to bring these moms rest, community and healing so they can return home refreshed and strengthened to continue to care for these children. The cost of Deeply Loved retreat is $135. This includes 4 meals at the Lodge and all of your sessions. We do have a Ladies day out one day where you are in charge of buying your own meal. We will have a list of Whitefish Restaurants that you could visit. As of right now, we do not have any scholarships but keep checking back. I will post it here! We have a block of rooms reserved at the Lodge that start at $104/night. Ask for the Deeply Loved/Child Bridge block rate when you call. If you would like to save money, you can split these rooms 4 ways with roommates! The rooms are large and have plenty of room. Go to the Deeply Loved Facebook page if you are looking for roommates!